Council leaders gave the green light to two new initiatives in Leeds today – a park and ride scheme located on Elland Rd and a new mini-park at the office development on Sovereign St (where the Queen’s Hall used to be). 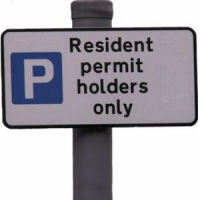 They also bowed to the voice of the public and formally shelved the idea of introducing charges for residents’ parking permits in the city. No surprise with the three decisions, which were among those taken this afternoon by senior councillors who sit on the council’s executive. 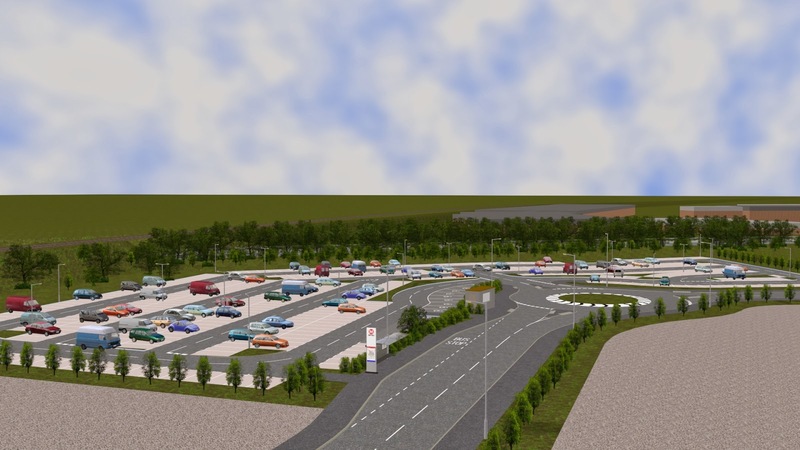 The £2.8m park-and-ride scheme – which aroused opposition locally – got planning permission towards the end of last month. So it was always going to be a thumbs-up today from the Labour-run executive, whatever the opposition might say. And what did the opposition say? “Park-and-ride, great idea. This location, wrong idea,” was how Conservative councillor John Procter summed things up. Labour’s Cllr Richard Lewis, the councillor in charge of the city’s development and economy, responded: “We’ve done work on the impacts on local housing and we’re confident that the increase in traffic will be absolutely marginal and residents won’t notice it. The Sovereign Square “green space” (it’s a mini-park, but without the swings) went through on the nod. No objections. Not a single comment. The space is going to include a tree-lined boulevard, grassed area, water feature, rain garden, lighting and outdoor seating plus a potential “street cafe environment”. And even though there aren’t many kids in the artist impression above (hang on, I just spotted a few more, and they look very orderly and haven’t got a ball between them), we’re assured that the space is going to be for families too. “We’re creating a space that isn’t just for office workers, but is genuinely for all members of the Leeds community,” Cllr Lewis told the meeting. Worth noting that when he touched on the water feature – an area where water will “bubble and pulse from under the stone paving providing an exciting and interactive space for both children and adults” – Cllr Lewis made what sounded like a pledge. You can find out more about the park-and-ride and the city centre “green space” in last week’s trailer to today’s decisions. A quick hint of the flavour of the debate around today’s decision to shelve the planned introduction of a £50 charge for residents’ parking permits. The plan went out to public consultation in summer and received what Cllr Lewis told the meeting was “perhaps the biggest (consultation) response that I can recall in terms of numbers”. And the response, as you can see from this report, was pretty unanimously ‘no, thanks’. There’s some background to today’s decision in last week’s trailer. This entry was posted in Uncategorized and tagged cllr richard lewis, elland rd park and ride, leeds, leeds city council, parking permits, Sovereign Square, water features. Bookmark the permalink. Hard to object to the Sovereign Street plans because the site has been such an eyesore for so long. 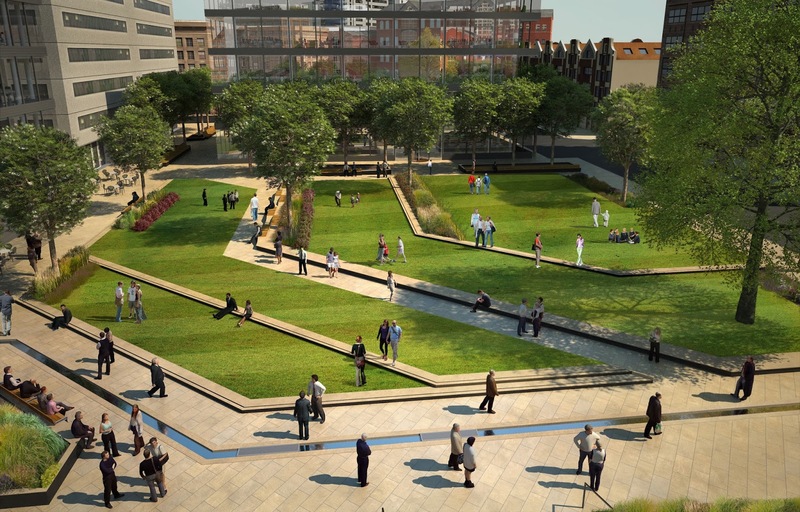 Sovereign Square – isn’t Leeds supposed to be a child friendly city?